Identifying birds in Panama or finding a trail can be frustrating without a bird guide, who has all the necessary knowledge about the Panama Birds; bird sounds, local migrations, habitats, local weather, etc. We have the contacts and know how to avoid unsafe places, to make sure birders will have a unique experience in the field. The Bird guides are professional with a deep knowledge of bird vocalizations and identification skills. They have the ability to find and show the bird to each person in a group whenever is possible. They point out field marks and help participants to improve their birding skills and knowledge of neotropical birds. All guides carry a professional spotting scope and the bird calls. Guides also have knowledge of frogs, plants, reptiles, common wildlife and culture. 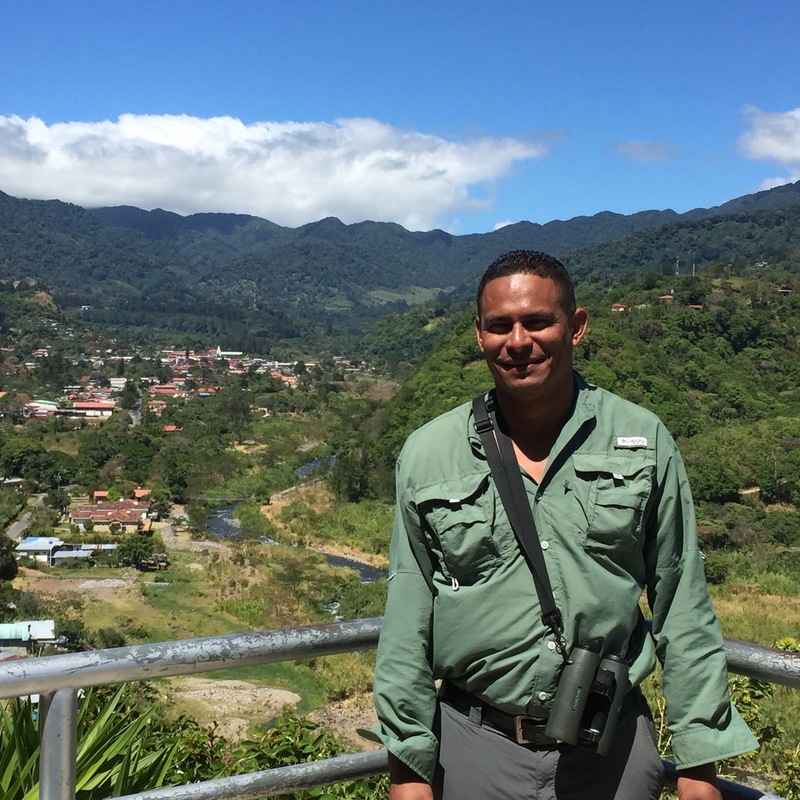 Jose is a native from Panama, an avid birder and a tropical nature enthusiastic. 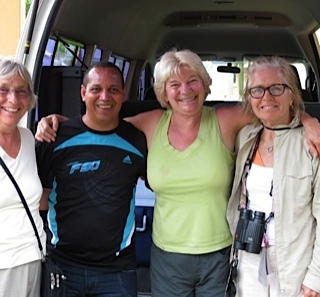 Jose Carlos has birded extensively in Panama for more than 10 years. He is a highly experienced traveler of the Isthmus of Panama, and a Certified Guide by the National Association of Interpretation U.S. He is a skilled guide who birds by ear and knows the different habitats of the country. At the same time, he wants to make sure that everyone in the group wonderfully observes the birds and understand what it is they are seeing. He has the local knowledge about where certain species, Manakin leks or the Antpittas are more likely to be seen. His passion for birds has taken him to the most remote places over the Isthmus, always looking for the opportunity to add a new bird on his Panama lifelist, for what his is getting close to the 800. He's interested in bird ecology, digiscoping, and nature trips to new corners of Panama. Moreover he has gone birding in Central and South America. Professional Bird Guide Kit: Spotting Scope Nikon ED 82, iPod with more than 1,000 Panama bird sounds, Green Laser Pointer, First-Aid, Digital Cameras etc. With “Kilo” it naturally feels like birding with a friend. 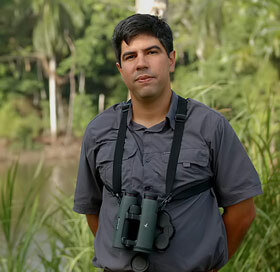 He holds a Nature Tourism degree from the National University of Panama, and has participated at numerous national and international bird projects such as the Hawk Mountain Sanctuary, Raptor conservation program in Pennsylvania US. He speaks English fluently and fully enjoys showing the birds to visitors all over the world. His patience is one of his best faculties, attentive all the time; he always receives high praises at the end of the trip. He comes fully equipped with Swarovski Optics and loves to share his knowledge with birders of different levels. He recognizes sounds, identified birds like any other; plus has a confirmed record of seen 756 Panama Birds in 2010 (Big Year). Francisco is our main driver; he has been with us for several years now and even has his own pair of Binoculars thanks to a costumer. He is friendly and courteous all the time, always willing to help around and make you feel welcome in Panama.Very good, nice and honest man, you can easily leave your belongings with him in the bus. "Jose is very easy to get along with, speaks excellent English, and has an amazing knowledge of calls, as well as a wealth of information on where certain birds might be located. I got to locations I did not think I would get. I highly recommend his services." Home | Tours & Rates | Bird Guides | Where the Birds Are | FAQ | Ecotourism | Digiscoping | Contact Us |© Birding Panama 2018 - "All Rights Reserved"
Guided birding tours in Eastern Panama, Central Panama and Western Panama.